Many of these posters were acquired from Nigel Mantzel who was an expert, collector and passion advocate for the art of the 1960’s. In the 1980’s he began to commission and publish his own series of posters which he sometimes referred to as the ‘Spirit of the Sixties’. This series included artwork using some of the iconic musicians of the era and occasionally for events that Nigel must have wished happened. Nigel also reproduced some of the posters of the time to allow people to enjoy them without having to pay the hundreds of pounds needed to own the original. 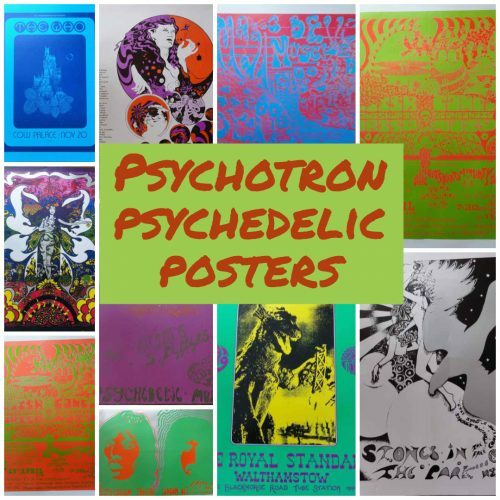 In addition to the Spirit of the Sixties collection we are always on the lookout for other posters that complement them. We hope you find something that will brighten up your walls as you listen to your records.